Dr. Rajesh Geria is a staff attending physician at Brunswick Urgent Care, in Brunswick, New Jersey. The New Jersey native obtained a Bachelors degree in Molecular Biology from West Chester University in Chester County, Pennsylvania. His non-clinical medical schooling was done abroad, while the clinical was done in various locations including Morristown, New Jersey, and Coney Island, New York. He completed a one-year residency in general surgery in the Guthrie Healthcare system in New York that was followed by a three-year residency in emergency medicine at Maimonides Medical Center in Brooklyn, New York. 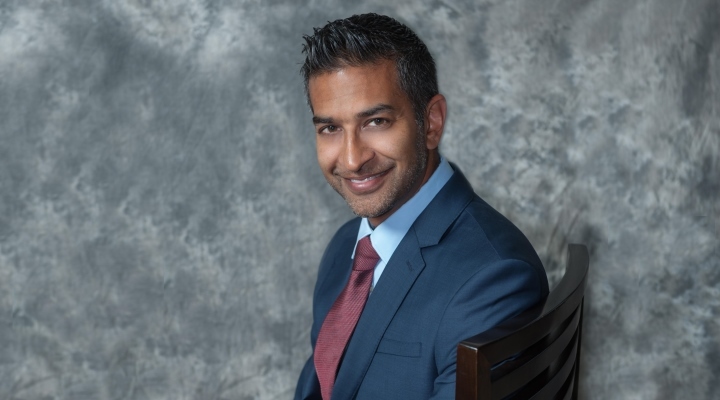 Dr. Rajesh Geria did fellowship work in emergency ultrasound and worked as an attending physician at Christiana Care Health system in Delaware. He then joined Robert Wood Johnson Medical School in 2006 as an assistant professor and director of emergency ultrasound. While in this position, Dr. Geria created a fellowship in emergency ultrasound, training several medical students in the field. Dr. Geria served on the ACEP, American College of Emergency Physician board under the section of emergency ultrasound. He also did some consulting work with ultrasound companies, researching ways to make the machine design better help the patients. In 2016, he was elected to the New Jersey ACEP board of directors. When Dr. Rajesh Geria isn’t working, he enjoys spending time with his family. He loves skiing, travel, photography, music, and reading. He is a huge football fan and holds season tickets for the Philadelphia Eagles. I always enjoyed watching shows like ER, seeing how you can do procedures to save lives and I like the procedural work. I thought I would enjoy helping people when they are in need the most. The idea of saving someone’s life was big with me, although I know you can’t save everyone. I specialize in emergency medicine. Emergency medicine is the medical specialty dedicated to the diagnosis and treatment of unforeseen illness or injury. It encompasses a unique body of knowledge as set forth in the “Model of the Clinical Practice of Emergency Medicine.” The practice of emergency medicine includes the initial evaluation, diagnosis, treatment, coordination of care among multiple providers, and disposition of any patient requiring expeditious medical, surgical, or psychiatric care. Emergency physicians are the foundation of the United States health care system’s patient safety net. They possess a clear understanding of the health care delivery system and the needs of their patients. Emergency physicians are uniquely positioned to evaluate, plan, and implement community and regional health policy initiatives. What made you choose this as a specialty? I loved the wide variety of cases, fast pace, teamwork and unpredictable nature of the Emergency Department. It’s a combination of skills needed, both medical and surgical. No matter what the patient’s issue is, you need to know how to treat every patient that comes in and stabilize that patient. I like the idea of shift work and having my days off to focus on my hobbies and family. I’m working in the urgent care, from 8:00 a.m. until 9:00 p.m. weekdays, holidays, and Sundays we close at 5:00 p.m. I start my day with coffee and go to the office. The morning is usually busy because it’s all walk-in patients. A lot of them come in the morning, or in the evening after work, so there are two spikes in volume. I’m single coverage in the morning, with one nurse and one medical assistant, and the receptionist. We try to keep things moving the best we can. A physician assistant or nurse practitioner comes in around noon and stays until close to help care for patients. I get home, hug my wife and kids and then play with my puppy. On my days off I like to focus on exercise and taking long walks with my puppy. When you look forward in your career, specifically in your industry, what trend in medicine do you see impacting your specialty the most, and why? Telemedicine will continue to grow in the urgent care industry fueled by baby boomers and millennials. Urgent care centers utilize telemedicine to balance patient loads and reduce wait times. Certain conditions seen in urgent cares need immediate attention like lacerations but things like skin rashes can be seen via telemedicine where the physician advises the patient remotely from the comfort of their own home. Employers and insurance companies continue to push the use of urgent care centers over ER’s in order to lower health care costs. Ultrasound machines are now ultraportable with some able to be connected to a mobile phone. Point of care ultrasound allows a provider to perform and interpret scans at the patients’ bedside with ease resulting in more accurate triage, procedural guidance, and higher quality care. While ultrasound has not seen widespread utilization in the urgent care setting, I believe that time is coming. The instant gratification I get from helping someone in acute distress. This applies to patients in both the urgent care and emergency department setting. In the urgent care, I can do quick procedures like joint reductions and foreign body removals, which make patients immediately better. In the Emergency Department I may perform CPR and administer life saving medications to save a life but unfortunately, I lose more patients than I save and this is why I prefer the urgent care setting at this stage in my career. It is less mentally taxing. What would you consider to be the greatest accomplishment of your career? Receiving the Top Doctor award in the 2017 edition of NJ Monthly magazine. Can you share some of the volunteer work that you’ve done? I’ve volunteered at the school my children attend teaching CPR and other basic first aid skills. I support military families financially around Christmas. I’ve donated to different charities like Toys for Tots and canned food drives for the homeless. What do you in order to mentally separate yourself from your job? Play with my puppy and drink my favorite wine. Where do you want your career to be in the next five years? I want to be more heavily involved in urgent care and possibly a leader in the Urgent Care Association of America. I would also love to be an educator in urgent care medicine and give lectures to residents and students at conferences. Because ultrasound is my background, I’d like to see more use of that in urgent care. The ultrasound that I do is at the point of care. The physician is doing it at the bedside, which eliminates the need to send the patient elsewhere to have it done. There’s an incredible number of ways that an ultrasound can be efficiently used in urgent care that would prevent a trip to the ER. Examples include diagnosis of gallstones, blood clots, and kidney stones. In addition, it enables dynamic guidance for invasive procedures such as steroid injections and vascular access making it safer for the patient.